Websearch.searchero.info is one of those unreliable search tools that you should never install onto your web browsers. Have you already installed it onto your Chrome, Internet Explorer, and Firefox browsers? If you have, you must read this report to learn how to delete this threat. You should be particularly interested in the removal of Websearch.searchero.info if this search tool was installed without your permission. Even though our malware researchers have not found this threat to travel illegally, some users complain about this. Needless to say, browser hijackers require immediate removal, but you should delete Websearch.searchero.info even if you have installed it yourself. If you do not delete Websearch.searchero.info this search provider will perform three different tasks: collect information about you, redirect to third-party search engines, and expose you to third-party content. Our researchers have found that this browser hijacker can provide you with links to game-trek.net, film-tease.com, and a few other suspicious websites that are flooded with advertisements. Sponsored links might also show up in your google.com web search results. Keep in mind that Websearch.searchero.info might adjust the search results to promote third-party content, and this is not the kind of activity you should tolerate. In fact, you should remove Websearch.searchero.info right away! If authentic security software was installed to protect your operating system, you would not need to worry about the removal of Websearch.searchero.info or other threats. If you do not know how to delete these threats from your operating system, you can install automatic malware removal software, but you should not rely on this software to install the search tools you prefer using. We have created a guide that will help you delete Websearch.searchero.info from browsers and install the search tools you know and trust. Do you have more questions regarding the removal process? We have created the comment section exactly because of this, so do not hesitate to use it! Launch IE, simultaneously tap Alt+T, and select Manage Add-ons. Go to Search Providers and set (Set as default) a new default search provider. Simultaneously tap Alt+T again but this time select Internet Options. Launch Firefox, simultaneously tap Alt+T, and select Options. Navigate to the Firefox search box and click the Search icon. Select Manage Search Engines to find the list of available search tools. Launch Chrome, simultaneously tap Alt+F and, select Settings. Click Change and overwrite/delete the undesirable URL. Click OK.
Set (Make default) a new default search provider. Remove (click X on the URL) the undesirable search provider. Click Done. 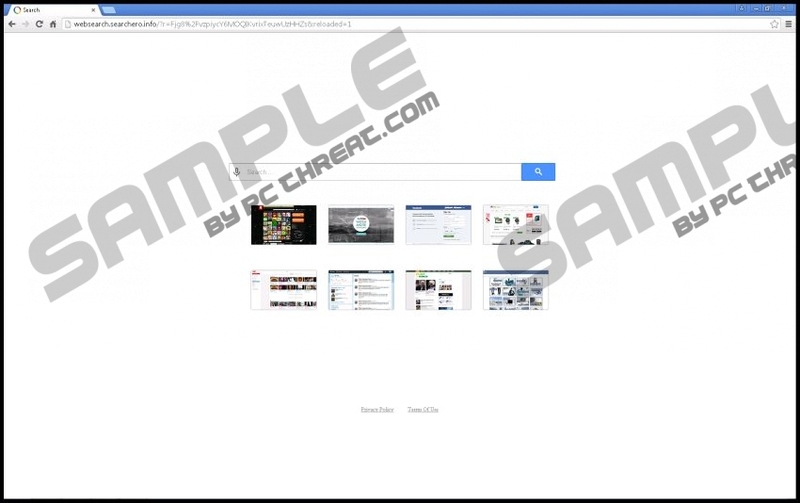 Quick & tested solution for Websearch.searchero.info removal.